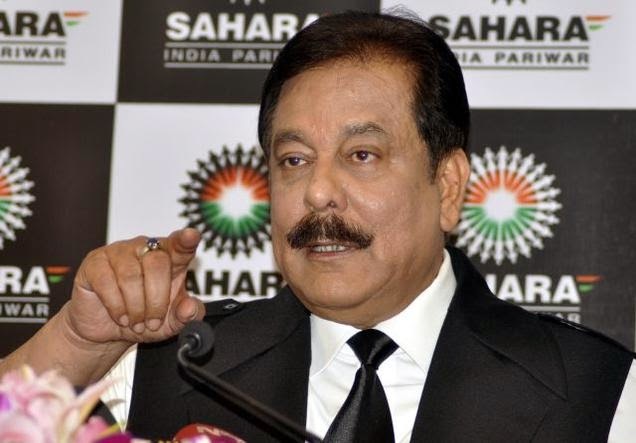 Looking to raise funds to ensure release of its chief Subrata Roy from jail, Sahara has sold a big land parcel at the outskirts of the national capital for Rs 1,211 crore to Gurgaon-based developer M3M India Ltd. The 185-acre land in Gurgaon, with 12 million square feet built-up area, would be used for ‘mix-use development’ and has sales revenue potential of Rs 12,000 crore, M3M India Ltd said today while announcing the deal. M3M India Director Pankaj Bansal also asserted that it was not a ‘distress sale’ by Sahara and the deal has been inked on the basis of market price. He further said that the entire amount will be paid in instalments over a period of six months, while post-dated cheques have been given to Sahara group for purchase of this land at Chauma village in Gurgaon. The deal comes within days of Supreme Court permitting the Sahara Group to proceed with the sale of four domestic properties, which is likely to fetch Rs 2,710 crore, in its bid to raise Rs 10,000 crore for the release of its jailed chief Subrato Roy. Besides this Chauma land, the court has also allowed the group to sell properties in Jodhpur, Pune and Vasai in Mumbai after it was satisfied that the transactions were in accordance with its June 4, 2014 order. The apex court bench was informed that the group has already generated Rs 184.5 crore as part payment for its assets in Jodhpur, Chauma and Vasai, following which it was allowed to hand over three demand drafts and one cheque to SEBI’s counsel. Out of a list of nine domestic properties submitted earlier to the court, Sahara has already sold its Ahmedabad property and has raised Rs 411.82 crore which has gone into the account of SEBI. Roy, who was sent to jail on March 4 this year in a case involving alleged non-refund of over Rs 20,000 crore with interest to depositors, was asked by the court to pay Rs 10,000 crore to get bail, out of which Rs 5,000 crore should be paid in cash and rest of the amount in bank guarantee. Sahara, which had earlier raised Rs 3,117 crore and deposited with SEBI, told the court that out of nine domestic assets, it has now sold an Ahmedabad property and raised Rs 411.82 crore which has also gone into the account of the market regulator. He said the land deal with Sahara group was clinched two months ago but the agreement was subject to approval of the Supreme Court. On land price, Bansal said: “It was not a distress sale for Sahara group. We have bought the land at market price.” The company has paid Rs 150 crore upfront to Sahara and the rest would be paid in instalments over the next 6 months. “We will come up with a high-end mixed-use development project on this land comprising branded homes, service apartments, offices, retail, hotels and entertainment centres. We are expecting a sales revenue of Rs 12,000 crore from this project,” Bansal said. The company would be shortly applying for approvals to develop this project which is to be launched in the last quarter of 2015 and get completed in the next 6-8 years. Asked about total investment on construction, Bansal said: “It is too premature to estimate but it will be about one-third of the estimated sales revenue.” On funding of this project, he said the company would fund the project cost largely from internal accruals, but said it is also exploring the possibility of partnering with international developers, financial institutions and private equity firms. M3M India has 2,000 acres of land in and around Gurgaon. It is currently developing 14 projects in the city, including its flagship 75-acre project ‘M3M Golf Estate’. Delhi-NCR has witnessed many big-ticket land deals during the last seven years, including Wave Group’s 151 acres deal in Noida for about Rs 6,500 crore in 2011 making it the biggest land deal in the region. India’s largest realty firm DLF was also involved in two high-value land transactions. It had bagged a 350-acre plot for Rs 1,750 crore in Gurgaon in 2009 and another 38 acres in the heart of Delhi for Rs 1,675 crore in 2007. Unitech had won 340 acres in Noida through auction for Rs 1,582 crore in 2006. BPTP had bagged 95 acres of land in Noida for Rs 5,006 crore through an auction in 2008, but the deal fell through as the company was unable to make full payment. Last year, Gaursons India had bought 300 acres on Yamuna Expressway in Greater Noida from Jaypee Group for more than Rs 1,500 crore.